Much has been written about the mounting pile of debt for U.S. oil companies (not to mention the well-known Brazilian oil giant). Not that long ago, many oil and gas companies secured at least a part of their revenue by hedging contracts. Bloomberg already reported in June that many of these companies saw their artificial safety nets vanishing as oil prices failed to recover. One month later, we heard such morale boosting terms as ‘frack now, pay later,’ which were merely a bold move by struggling oil services companies to encourage cash strapped oil and gas companies to continue operations. Summing it up, debt, negative cash flows and the outlook for oil prices have led weak companies with balance sheets to a divest in a big way. Although we have witnessed a couple of noteworthy acquisitions in the last months, which put 2015 in the books as a year with high volume takeovers, we cannot yet speak about an absolute M&A boom. One of the most important reasons holding back takeovers of entire companies is the oil price volatility we have seen in the last few weeks. 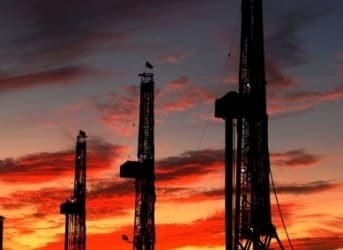 Financially stronger oil and gas companies seem to have postponed takeover plans and are now focusing on the acquisition of promising land holdings. Nonetheless, it seems that both buyers and sellers are preparing themselves for what could turn out to be a fire sale. According to Bloomberg, the shelves of the M&A supermarket are filled with over $200 billion worth of oil and gas assets for sale worldwide. When taking a closer look at the ‘market ware,’ it becomes clear that the vast majority of oil and gas assets for sale are located in North-America. As previously mentioned, debt pressure, but also the need for focus on core activities has increased the number of assets for sale in this part of the world. This increased pressure and limited time to sell off assets has resulted in a steep price drop in oil and gas assets in predominantly North-America, but also in the U.K. Whereas some of the more comfortably positioned drillers such as ConocoPhilips (over $1 billion in asset sales), Encana ($900 million) and even oil major Repsol ($6.2 billion) are selling off non-core assets in order to focus on core projects. Some other drillers are letting valuable land positions in one of the highest yielding basins in the United States go for less money than they had hoped. Linn Energy sold high-yield Permian positions (worth $281 million). W&T Offshore had to sell off Permian assets for which, according to Bloomberg, it received ‘less than a fourth what was paid for similar land in another deal just months ago’ ($376 million) in order to reinforce its balance sheet. Debt-laden California Resources Corp., the state’s largest oil and gas producer is considering the sale of some of its major assets in order to ease its $6.5 billion debt burden. Even copper miner Freeport McMoRan has put its oil and gas assets up for sale after its debt position got completely out of hand. According to Bloomberg, the company’s assets are now worth $1.8 billion less than they were a year ago. And most likely, the amount of assets for sale is not likely to decrease any time soon. According to Moody’s Corp., one out of eight junk rated oil drillers was at risk of defaulting when oil fell below $40 per barrel last month. And more ‘drillers in distress’ can only mean more oil and gas assets up for sale. Related: Can The Oil Industry Really Handle This Much Debt? As dire as the situation might be for some drillers, some financially stronger companies and investors are looking at something which might be developing into a generational opportunity for consolidation and growth in the oil and gas sector. As mentioned before, some major acquisitions have been made or are currently in the pipeline such as the Shell-BG takeover and the Halliburton-Baker Hughes merger. It may, however, be more interesting and rewarding for both oil and energy investors and financially strong oil and gas companies to watch vast amounts of assets being auctioned in what may soon turn out to be a fire sale of onshore and offshore positions in the best performing North-American oil and gas plays. Tomorrow’s winners will undoubtedly be the companies which manage to secure promising positions without jeopardizing their balance sheets. The End Of The Oil Major?